Pescador Island Marine Park is, in fact, an islet, is located in the Tañon Strait just a few kilometers off from the western coast of Cebu provincial island, the Philippines. Pescador Island belongs to Moalboal Municipality, a popular travel destination for both sea activities and inland adventures. The islet itself derive its name from the common Spanish word ‘pescador' for a fisherman in the English language. You will learn that the island is one of the places marked by the Spanish colonial heritage not only in name but also through a symbol – the Spanish watchtower. Certainly, it attracts various groups of visitors and curious travelers. For example, daytime visitors (they usually spend a few hours to enjoy the spectacular views of the sea and surrounding islands). These group of guests can also be called island-hoppers as they move from one island to another. 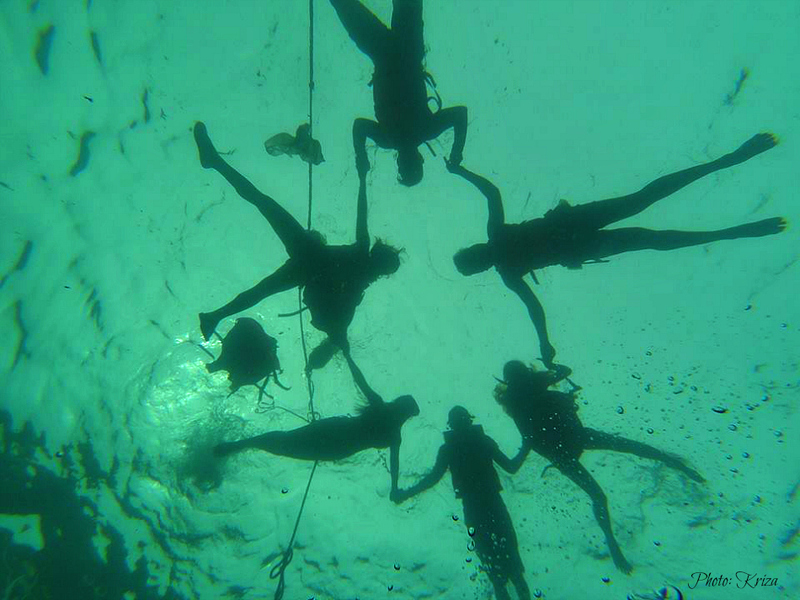 The second group of visitors is the more curious and serious ones – scuba divers (and snorkelers). They come not just to enjoy the small island's interesting site and space but also to explore the diverse marine life species. 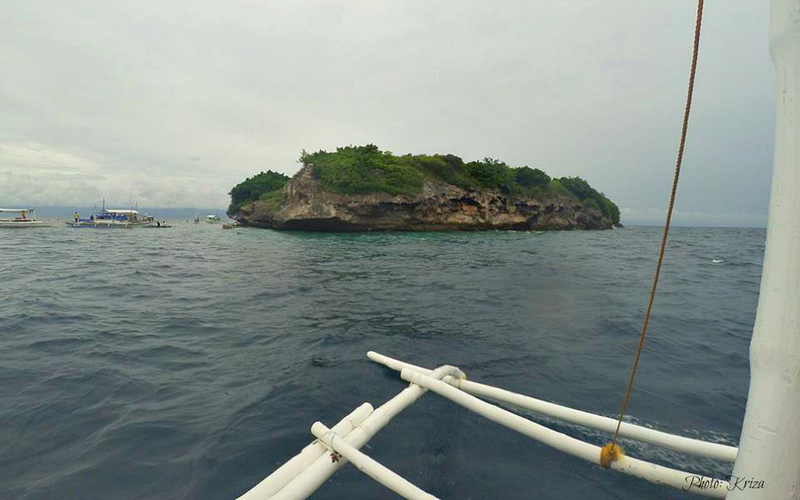 Pescador Islet (henceforth ‘Pescador Island' as it is popularly known) has a rich marine biodiversity. Diverse fish, corals, mollusks and other smaller and beautiful creatures are living and lurking under the waters that surround the island. Marine experts are describing the underwater composition of Pescador reef as a sandy slope covered with soft corals (from 5 to 10 meters) and then followed by a wall adorned with hard corals dropping down to about 40 meters below. ‘The Cathedral' is an open-top underwater cave is a popularly feature on the west side of the island, but most recreational dive tours usually start their activity on the southern shore and let them go along with the current and drift either to the east or the western side of the reef island. Experts and experienced divers say that the conditions of water visibility vary from time to time. However, usually, the current in the Tañon Strait provides visible water that will surprisingly let to see below down to 40 meters. You will recognize the island when you see its white Lighthouse as one of its distinguishing features as there are not many islands with lighthouses in Cebu Province. Pescador Island is one of those warm waters in the Philippines that house over 2,500 fish species (source: Wikipedia). You can imagine how colorful the underwater is including the colors that no one can even describe. 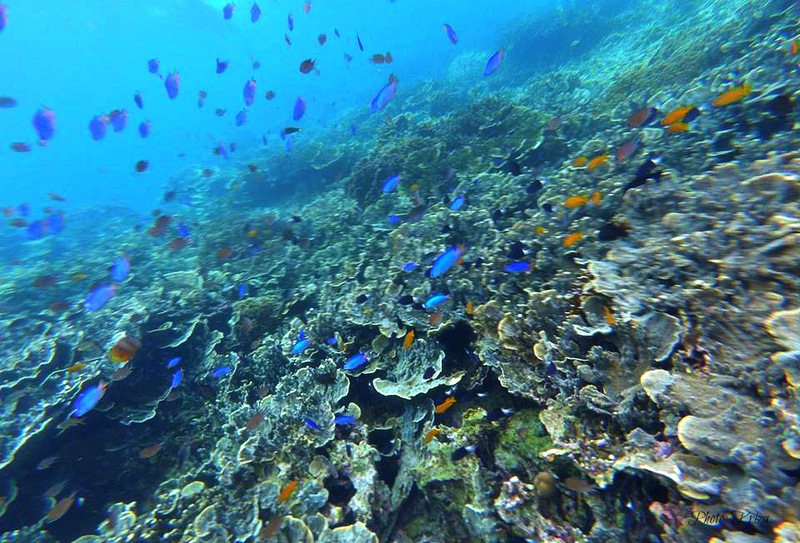 Pescador Island Marine Park is designated as a marine conservation area and a marine park. If you are running a dive shop and visit the island with your guests, you are required to pay an entrance fee – that is, each diver guest must pay for entering the area. education on marine protection and conservation among youth and adults especially on reefs and mangrove topics (Wikipedia). 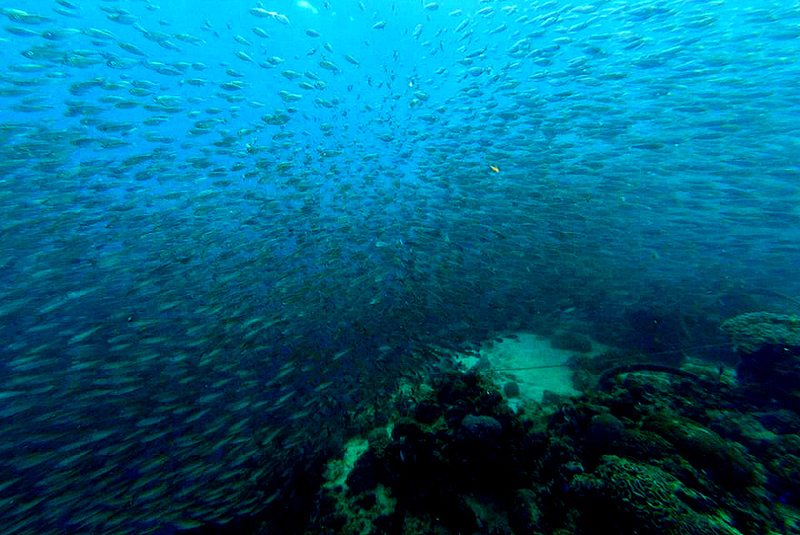 Aside from the usual exciting features beneath the waters of Pescador Island Marine Park, one can, if lucky enough, can spot hundreds of thousands of sardines inhabiting and moving around like balls and other shapes they can make of. Sometimes, sharks also drop by the area for cleaning. Being a protected conservation area, fishing and collecting anything living creatures belonging to Pescador is forbidden, and the price for violating the law is severe. For that reason, you will most likely encounter a ball of sardines, and it would be an experience of a lifetime. 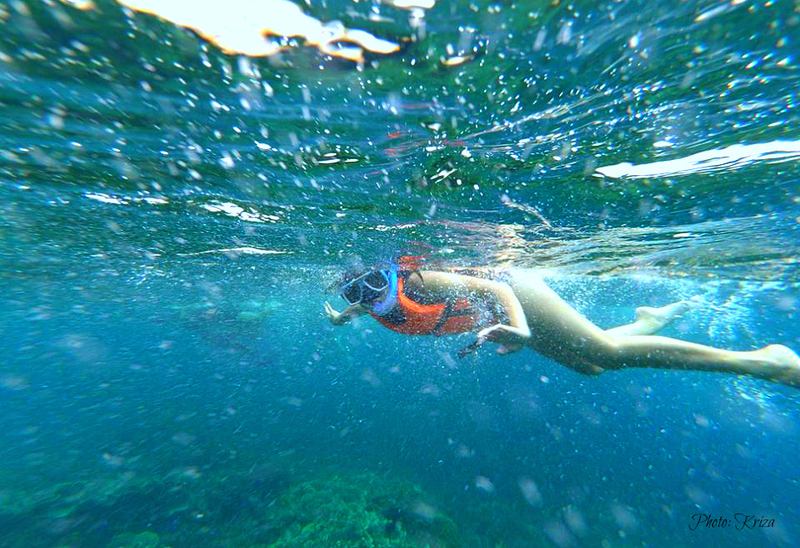 Snorkelers can see them even without gearing yourself with scuba diving suit. Now, if you are getting excited and wanting to learn more about the place, let me give you some tips or guides. 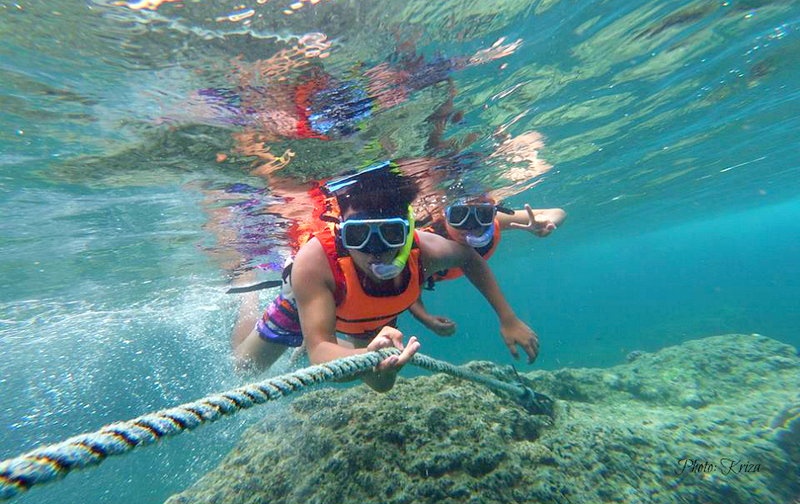 You can find loads of places that offer tours and recreational diving activity to Pescador Island. In fact, other dive shops from distant places in the province include Pescador trip as part of their itineraries. Most of the dive shops and resorts are around Panagsama area. If you are a first-time diver, you might have to pay PhP2000 and then you will get discounts in your next diving activity. 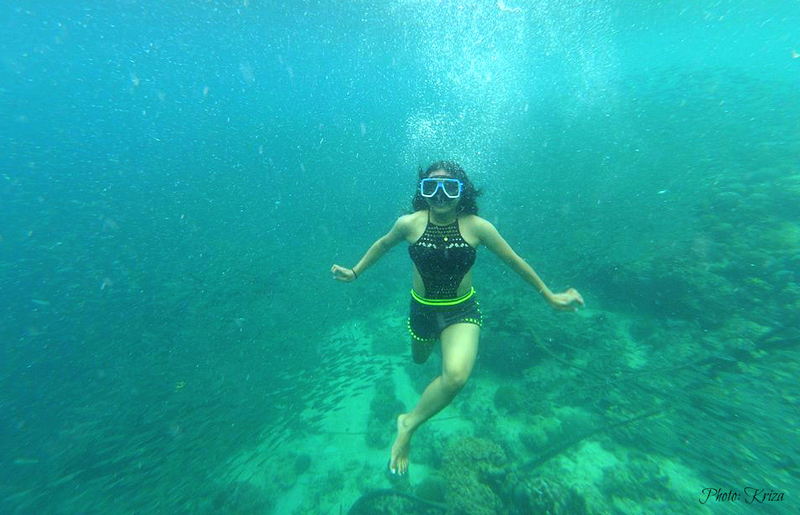 If you only want to do snorkeling, you can easily hire a boat for less than PhP2000 (it varies but around 1,800pesos) because you don't need expensive diving gears to do that and no reason to hire expert divers to aid you. You can find pages on this website that feature resorts and dive shops located in Panagsama Beach and Basdaku Beach. The difference between the two beaches areas is very distinct. 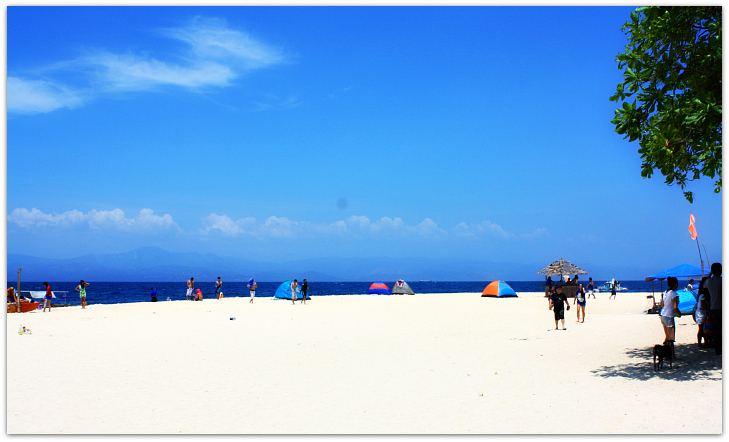 Panagsama Beach is where you should go if you want to do snorkeling and scuba diving. That's because such facilities are diverse and more available than in Basdaku Beach. Basdaku Beach is more of swimming and other beach activities including sunbathing, camping, photo shooting, beach volleyball playing and other sorts of beach games you can think of. Of course, services for diving and snorkeling are also available at some resorts. Getting to Moalboal Municipality to get to Pescador Island is not hard at all. Given that you are departing from Cebu City, it will take more or less 3 hours to get there. By the way, Moalboal is only about 89 kilometers from the Metropolitan. Click here to see the guide on how to get to Moalboal by bus. From the town and main road, Panagsama and Basdaku Beaches are about 3 to 5 kilometers far. You need to take a motorcycle to get there (or a habal-habal). The following bus, van or motorcycle fares and rates are based on the recent rates, and so it could change anytime. Thank you for reading through this page and hope you'll have a great time with your travel.